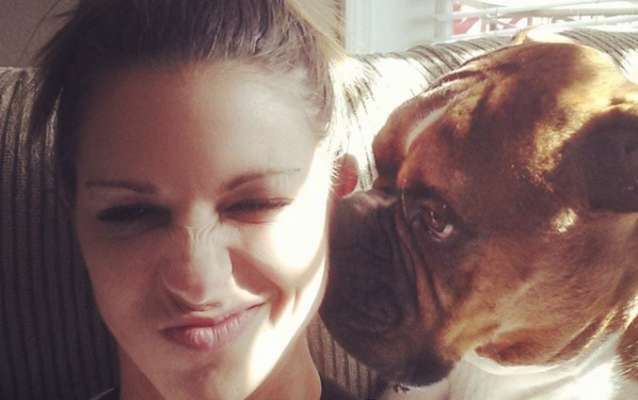 Spending time with her dog Jax is something Brooklyn Chase loves to do. Jax is seen here sharing some silly kisses with Brooklyn. Or, maybe he's sharing some secrets with her. I wonder what secrets Brooklyn shares with Jax as well?